The Adoration of the Magi (circa 1305) by Giotto, purportedly depicting Halley. For centuries astronomers have speculated about the famous Star of Bethlehem, which the three Magi (the three wise men/the three kings) followed to the place of Christ's birth. Of course, the star may defy scientific explanation altogether, and be viewed as a miracle. Nevertheless, various astronomical theories have been proposed, including that the star may have been a comet, or a supernova (an exploding star), or a "planetary conjunction" (a gathering of planets in one part of the sky). In this column, we'll examine two of today's most popular theories, both of which hold that the planet Jupiter played a key role. "After Jesus was born in Bethlehem in Judea, during the time of King Herod, Magi from the east came to Jerusalem and asked, "Where is the one who has been born king of the Jews? We saw his star when it rose and have come to worship him." When King Herod heard this he was disturbed, and all Jerusalem with him. When he had called together all the people's chief priests and teachers of the law, he asked them where the Messiah was to be born. "In Bethlehem in Judea," they replied, "for this is what the prophet has written: "'But you, Bethlehem, in the land of Judah, are by no means least among the rulers of Judah; for out of you will come to a ruler who will shepherd my people Israel." If you Google "Star of Bethlehem," the Web site of a best selling DVD, The Star of Bethlehem, ranks at the very top. The DVD features American attorney, Sunday school teacher, and amateur astronomer Rick Larson, who has conducted extensive research into the scientific, historical and theological aspects of the Star of Bethlehem. After a careful review of scripture, Larson identifies nine characteristics of the star that, he believes, any scientific theory of the star must meet in order to be compliant with Christian belief. For example, we can see from Matthew 2:1-12 that the star signified the birth of a king, that it was associated with the Jewish nation, and that, "it stopped over the place where the child was" - Bethlehem. Larson then draws on his study of ancient history to address the all-important issue of the year that King Herod died. According to Matthew 2, after the birth of Jesus, an angel appeared to Joseph in a dream, urging Joseph to flee Israel and take Mary and the infant Jesus to Egypt so as to avoid the wrath of Herod, who had issued orders that all male children in his realm under the age of two be executed. Later in Matthew 2, an angel informs Joseph that Herod has died and that it is safe to return to Israel. So the argument goes that we should subtract two years from the year of Herod's death to estimate the year Jesus was born. Knowing Jesus' estimated year of birth allows astronomers to run computer simulations of the positions of the stars and planets as they appeared in the night sky during the approximate time frame of Jesus' birth. Most historians and biblical scholars put Herod's death at around the year 4 BC, meaning Jesus would have been born sometime around 6 BC. But Larson points to recent historical research arguing that Herod died in 1 BC, which would place Jesus' birth year around 3 BC. Using modern astronomical software, Larson then runs computer simulations of the night sky over the Middle East in 3 and 2 BC and reaches two remarkable results - both involving the planet Jupiter. Viewing the night sky from Jerusalem in mid-September of 3 BC, an observer could see Jupiter, known as the "King Planet" (from classical mythology) in conjunction with (i.e., close to) the star "Regulus," known as the "King Star. Furthermore, Regulus is in the constellation (area of the night sky) "Leo," which represents a lion, which was the symbol of Judah. Furthermore, Larson notes, the planets in the night sky move relative to the 'fixed' stars: If you note the position of, say, Jupiter relative to stars such as Regulus from night to night, then you'll note that Jupiter generally moves eastward across successive night skies. However, occasionally, Jupiter will seemingly halt its eastward movement, and begin moving westward across successive night skies. (This is an optical effect - called "retrograde motion" - resulting from the fact that Earth's orbit around the sun lies within Jupiter's orbit around the sun. Jupiter, Saturn and other planets outside Earth's orbit demonstrate the same retrograde motion as we view those planets from Earth, which itself is in motion in its orbit about the sun. Our planet's orbital motion combined with the orbital motions of the outer planets cause the retrograde motion optical effect.) As Jupiter switches from moving eastward to moving westward (or vice versa), Jupiter appears to be stationary relative to the stars. In this way, Jupiter appeared to stop "over the place where the child was," as we read in Matthew 2. But, Larson argues, this conjunction of Leo with Regulus may have marked the conception of Jesus. If we run the computer simulation of Jerusalem's night sky forward nine months into June of 2 BC, we find that Jupiter and the planet Venus - two of the brightest planets in the night sky - come into extremely close conjunction, so much so that the two planets appear together as one, very bright 'star' in the night sky! So the conjunction of Jupiter with Regulus in 3 BC, and/or the conjunction of Jupiter with Venus nine months later in 2 BC, may very well have been the star the Magi followed. 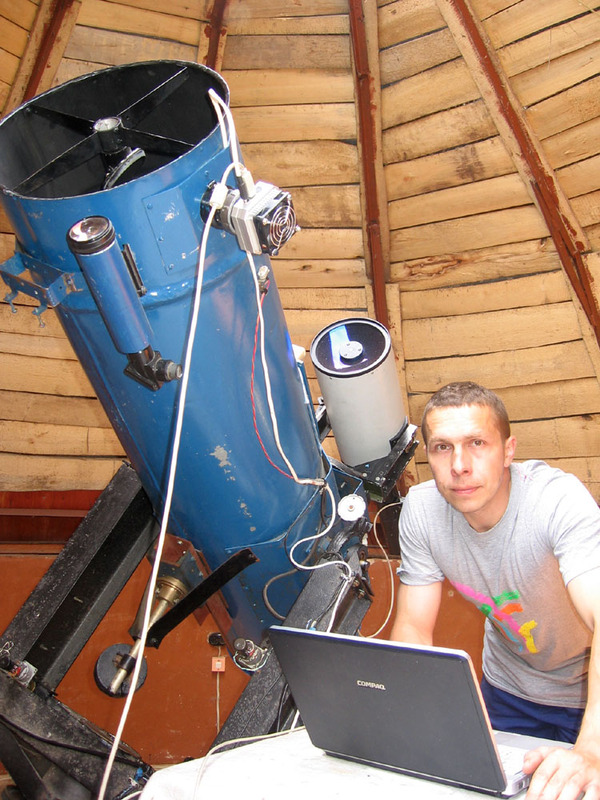 If we return to the Google search results for "Star of Bethlehem," we find the Web site of professional astronomer Michael Molnar, who takes a different approach to the star of Bethlehem. In his book, The Star of Bethlehem: The Legacy of the Magi, Molnar explores not only the Biblical account of the star but also the point of view of the Magi, whom Molnar argues were astrologers/astronomers: In the ancient Roman world, astrology and astronomy were indistinguishable. The Magi were held in high esteem in Roman culture and were considered to be very knowledgeable, indeed, wise men. Molnar, who does not believe in astrology, nevertheless has extensively researched the astrological beliefs prevalent in the Roman world. He argues that modern astronomers who think about the Star of Bethlehem make a mistake by focusing on what spectacular displays may have appeared in the night sky around the time of Jesus' birth, such as the appearance of a very bright star. The focus on amazing heavenly displays is a bias of relatively modern astronomers, Molnar argues. The Magi of ancient Rome, Molnar explains, were primarily concerned with the logic of their astrological system, which placed primary emphasis on the locations and arrangements of the planets in the night sky - the sequence of planets in the night sky, what constellations they were in, how far above the horizon they appeared at sunrise, etc. So, for example, the fact that Jupiter and Venus were so close to one another that they appeared as one, very bright star would not necessarily be significant to the Magi. Rather, the Magi would be much more interested in knowing whether Jupiter was to the east of Venus or to the west of Venus, the constellation(s) in which the two planets were located, and how high above the horizon the two planets appeared at sunrise. Accepting the consensus view of most scholars that Herod likely died in 4 BC, Molnar considers the positions of the planets in the night sky two years earlier - in 6 BC - and finds a particular arrangement of the planets Jupiter, Saturn, Venus, Mars and Mercury, together with the Moon and Sun, that would have been of great astrological significance to the Magi, indicating that a king was being born. Furthermore, the centring of this particular planetary arrangement in and around the constellation Aries was significant, in part because in Roman-era astrology Aries was the sign of Judea. So to the Magi, the arrangement of the stars and planets in 6 BC led them to believe that a great king was born in Judea. Moreover, we should bear in mind Jupiter's retrograde motion, as well as the spirit of revolution in the air at the time - the notion that a messiah would soon lead the Jewish people in revolt against the Roman Empire. All of these factors combined, then, would naturally have induced the Magi to travel to Jerusalem - the capitol city of Judea - to inquire as to the whereabouts of the newborn king. So whether we take the more Biblically-oriented analysis of Larson or the more astrologically-oriented analysis of Molnar, we find compelling scenarios that support the notion that the Star of Bethlehem was a real, historical event. Richard Pickering is an astronomer for Name A Star Live, which lets you express your feelings in a romantic, meaningful way by 'naming a star' for a loved one. While no star-naming service can change the scientific designations of stars, only Name A Star Live makes it real by providing you: Virtual Planetarium astronomy software; an opportunity to view your star live using an online telescope; and the launch of your star name into space! 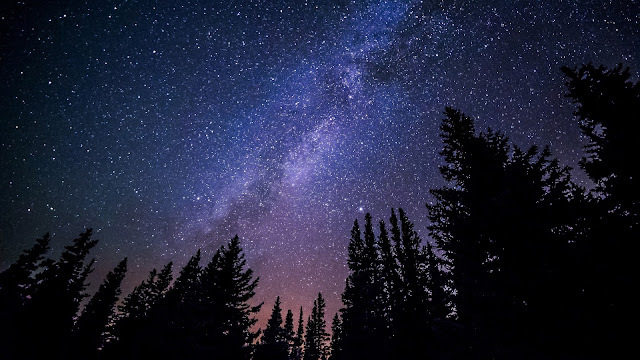 For most of us, the idea of astronomy is something we directly connect to “stargazing”, telescopes and seeing magnificent displays in the heavens. And to be sure, that is the exciting area of astronomy that accounts for its huge popularity. So to the uninitiated, the idea of “radio astronomy” seems strange. There are two reasons for that. First is that humans are far more visual than audio oriented. And the second is that radio astronomy doesn’t really involve “listening” to the cosmos except to the extent that scientists who use this sophisticated form of “stargazing” do not rely on the visual study to conduct their work. To appreciate what is really exciting about radio astronomy, first, we have to shift how we view astronomy. That is because to professional astronomers, studying the universe is more about frequencies than it is about visual documentation of phenomenon. This takes us back to Physics 101. Light, obviously, is the physical phenomenon that empowers our ability to use our visual confirmation system, e.g. our eyes to appreciate something, in this case, the stars. So when we look up at the heavens, we can see the light emitting from a star or reflecting from a planet or moon. In many cases, if we see a faraway star, we are actually seeing it hundreds or thousands of years ago because that is how long it takes for that light to cross the universe and be visible in our sky. That alone is a pretty mind-blowing idea. Now light itself is a pretty strange substance. But to our astronomy scientists, light is just another energy that exists in a certain frequency. Now, we tend to think of frequencies when we talk about sound waves. In scientific terms light, energy and sound are just a few forms of the same thing, frequencies of energy that are emulating from a source. Now we get to why radio astronomy is so necessary. The range of frequency that light occupies in the big spectrum of frequencies is really pretty small. To put that more bluntly, we can only “see” a tiny part of the universe that is actually there. Now when you look up in the night sky and it is so overwhelming, when you then that we are seeing just a tiny amount of what is actually going on up there, again, our minds can get pretty overwhelmed. Radio astronomy uses sophisticated sensor equipment to study ALL of the frequencies of energy coming to us from the cosmos. In that way, these scientists can “see” everything that is going on out there and so get a precise idea of how the stars look, behave now and will behave in the future. For some of us who have heard about radio astronomy, we think of it in terms of “listening” for signs of life in the universe. And yes, SETI, or “the Search for Extra-Terrestrial Intelligence” is a part of radio astronomy, albeit a tiny part. But of much greater importance is how radio astronomy has empowered serious astronomers (that is those who get paid to do it) to study stars many light years away, to study black holes which we could never see with our telescopes and to gather research and data about the whole of the universe that otherwise would be impossible to know and understand. This is important work that is constantly ongoing in the world of astronomy. It is worth keeping up with and learning more about as we have barely scratched the surface in our brief discussion today. But understanding how important radio astronomy is will only deepen and make more meaningful your love and grasp of this big field of knowledge known as astronomy. We have a special feeling toward the other planets that circle our sun. Maybe it’s all the science fiction stories about visiting the moon, Mars and other planets. But we love to think about those planets that make up what we call “the solar system.” that do what our planet does but do it very differently indeed. In 2006, there was quite a bit of controversy as scholars and astronomers agreed to downgrade Pluto and remove its status as a planet. So you have to wonder, what is it that makes something a planet and what happened to Pluto? It didn’t just go away so it must still be out there. A planet, by scientific definition, is any object in orbit around a sun, that has formed into some kind of round object is a planet as long as it has cleared away any other orbiting items around it. By cleared away, that doesn’t mean it has destroyed all space debris etc. For example, our planet has not “cleared away” the moon but it has captured it into its own orbit so we classify as a planet. That’s a relief huh? There are many objects floating around in our solar system other than the planets we know of. It’s an interesting piece of trivia that in addition to the planets there are 165 moons orbiting around those nine planets. Some of those moons are so advanced that some scientists have suspected that they might have supported life at some point. In addition to the regular planets and moons, there are dwarf planets, asteroid belts and routine visits by comets that create a lot of traffic in our cosmic corner of the universe. The two known dwarf planets that exist on the outer rim of our solar system are Eries and Ceres. So when Pluto’s status was changed to be removed from the list of planets, it simply joined those two bodies as dwarf planets but still a solid citizen of the community of celestial bodies around our sun. In addition to these larger bodies, there is an asteroid belt that exists between Mars and Jupiter that most of the asteroids that we see in our night sky come from. There is another belt of large objects further out called the Kuiper belt as well as a “bubble” in space called a heliopause and there is a suspected additional belt outside the known solar system called the Oort belt that we think is the origin of a lot of large asteroids and comets that frequent our solar system and come to orbit our sun. As fascinating as these many celestial bodies who are our neighbors in space is the origin of our solar system. We have to break it down into simple terms to understand the terms but we know that the early history of the solar system and the universe was one of the great bodies of gas and clouds of matter eventually cooling and heating, exploding and spinning off stars and other massive space giants that became more stars, galaxies and solar systems. It was from this erratic activity that our sun separated from the gasses and carried with it the material that became our solar system. The gravity of the sun captured sufficient matter that it began to go through the process of forming, cooling, exploding and separating. This is what happened as the planets all went through the same process eventually establishing stable orbits and small objects falling into orbit around them. When you think of how powerful and out of control this process is, it’s amazing to step back and see the beauty of the organization of our solar system today. The more detail you learn about the history of our solar system, the more you will enjoy your explorations of the planets with your telescope. That discovery is part of the fun of astronomy. The Hubble Space Telescope as seen from the departing Space Shuttle Atlantis, flying STS-125, HST Servicing Mission 4. 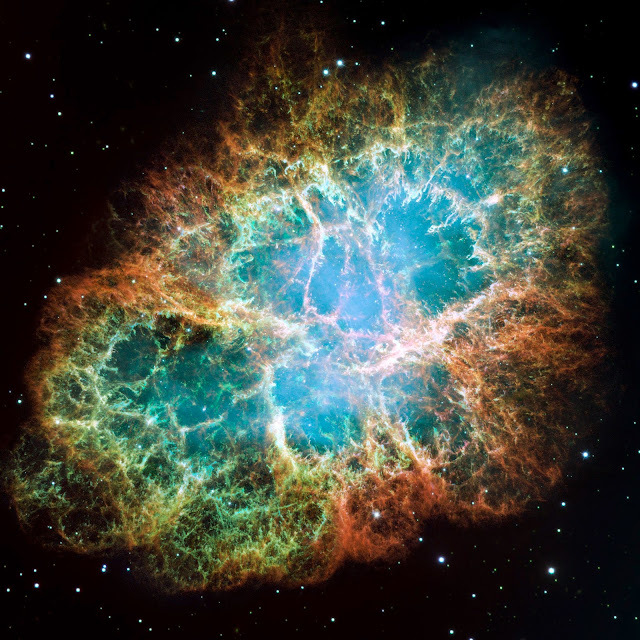 An amazing piece of astronomy trivia that few people know is that in truth, only about ten percent of the universe is visible using conventional methods of observation. For that reason, the Hubble really was a huge leap forward. That is for the very simple reason that the Hubble can operate outside of the atmosphere of Earth. Trying to make significant space exploration via telescopes from the terrestrial surface of planet Earth is very difficult. That very thing that keeps us alive, our own Earth’s atmosphere presents a serious distraction from being able to see deeper and further into space. The Hubble space telescope was named after the great scientist and visionary Edward Hubble who discovered that the universe was expanding which was explained by what is now known in science as Hubble’s Law. To truly get a feel for the amazing accomplishment that was achieved with the launch of the Hubble telescope, spend some time on Nasa’s web site dedicated to the project at http://hubble.nasa.gov. There are also a number of sites where you can enjoy some stunning pictures from the Hubble including http://heritage.stsci.edu/ and http://www.stsci.edu/ftp/science/hdf/hdf.html. 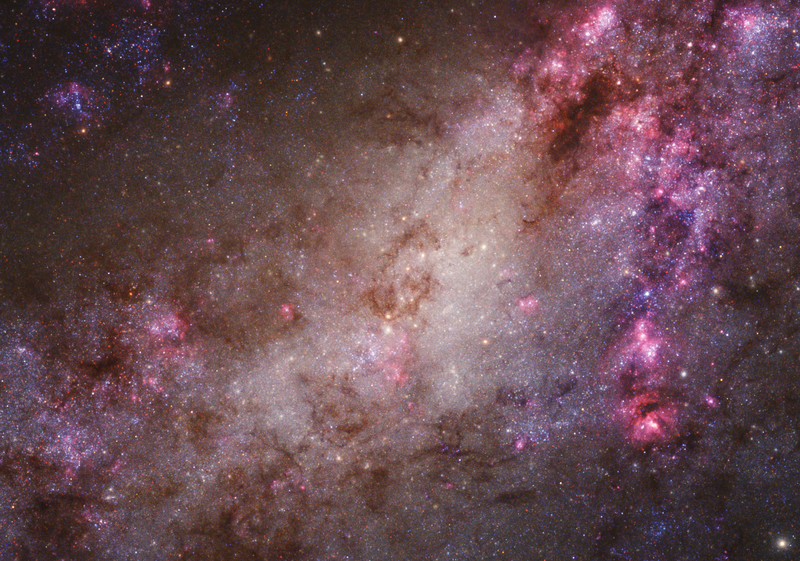 It’s hard to believe how long the Hubble has been orbiting earth and sending back amazing video and pictures of what it is discovering in space. 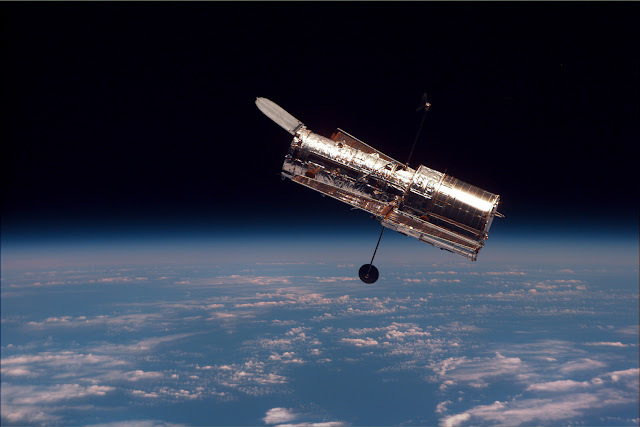 But the Hubble was actually initially launched on April 25th 1990. It was the culmination of literally decades of research and construction which began in 1977. Expectations were high as the orbiting telescope was put in place and actually began to function as it was designed to do. All was not always perfect with the telescope and the early pictures were disappointing. After some study NASA discovered that the reason for the early failures was the curvatures of one of the main lenses of the orbiting telescope. We probably could never have kept this intricate piece of equipment operational as well as we have had we not had the Space Shuttle program to give us a tool to implement repairs and improvements to the Hubble. 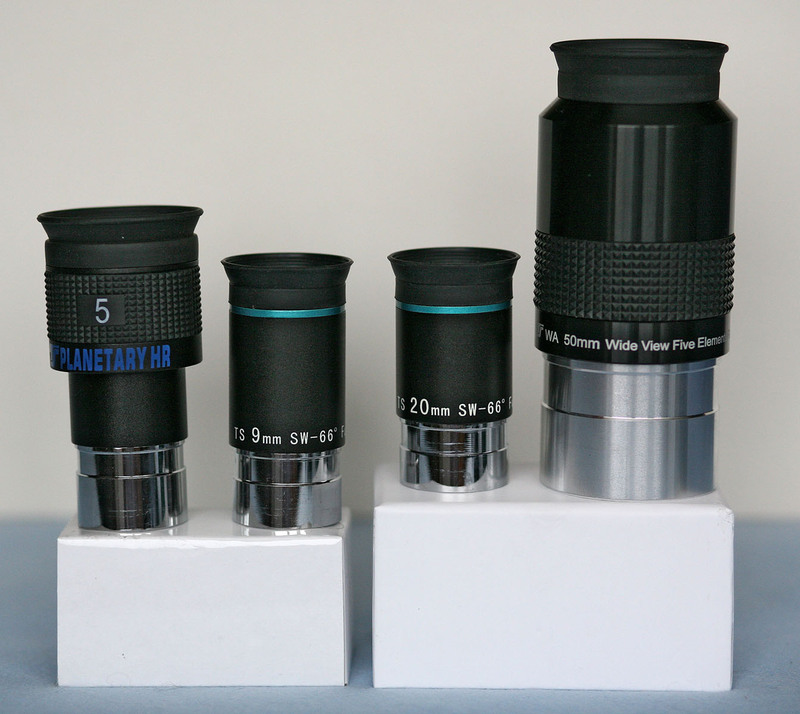 In 1993 a new lens was installed on the Hubble which corrected the problem of picture resolution that was noted in the early operation of the telescope. Two other repair and upgrade mission have been made to the Hubble since it launched, both of them in 1997 to upgrade older equipment and to retrofit the telescope to extend its useful life through 2010. It’s pretty amazing to think that this scientific and mechanical marvel has been operating now for ten years without maintenance. We can be assured that plans are in the works for NASA to upgrade or replace parts on the Hubble to extend its useful life even further as that 2010 time frame draws closer. It is hard to imagine the science of astronomy or the natural quest for greater knowledge of our universe without the Hubble. While many times those who would not fund space exploration have tried to cut funding for the Hubble, the operation of this telescope is just too important to astronomers and to the scientific well being of mankind and our planet not to continue to use the Hubble, or its next natural successor. We will always need to have a set of eyes in the sky to watch the universe and discover more of its mysteries. If you have a passion for stargazing, telescopes, the Hubble and the universe and this thing we call “astronomy”, you are far from alone. Of course, we know that astronomy is a highly respected science that has produced some of the most amazing accomplishments of the twentieth century. 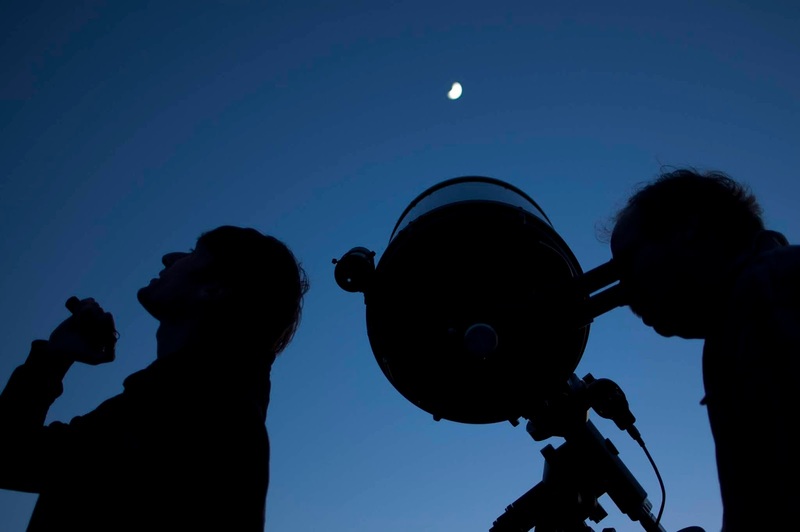 On top of that, it is a thriving area of fascination and one of the most exciting hobby areas going with thousands of astronomy clubs and tens of thousands of amateur astronomers watching the stars every night just like we do. But did you know that astronomy is one of the oldest and most respected sciences of them all? As far back as before the times of Christ, the wise and thinking people of societies of the time were looking at the stars and finding ways to track and chart them. 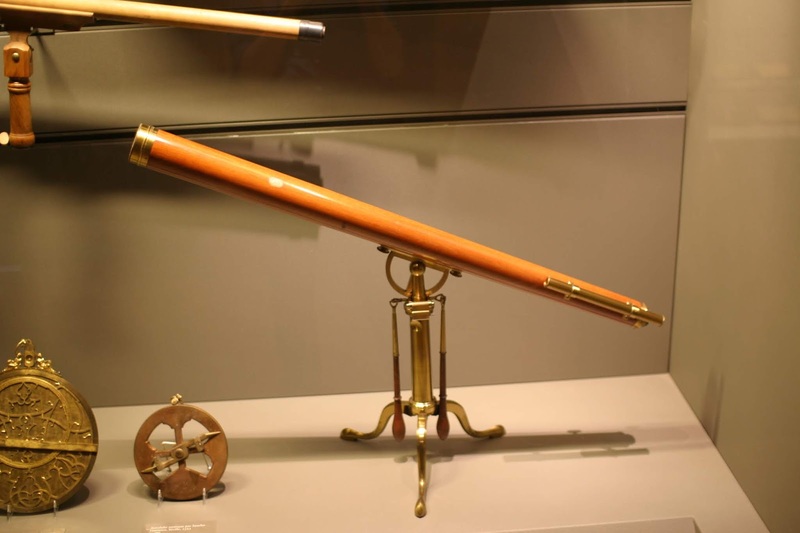 We who love the hobby of astronomy can chart a proud history of astronomers that tracks across millennia and through virtually every culture in civilization. 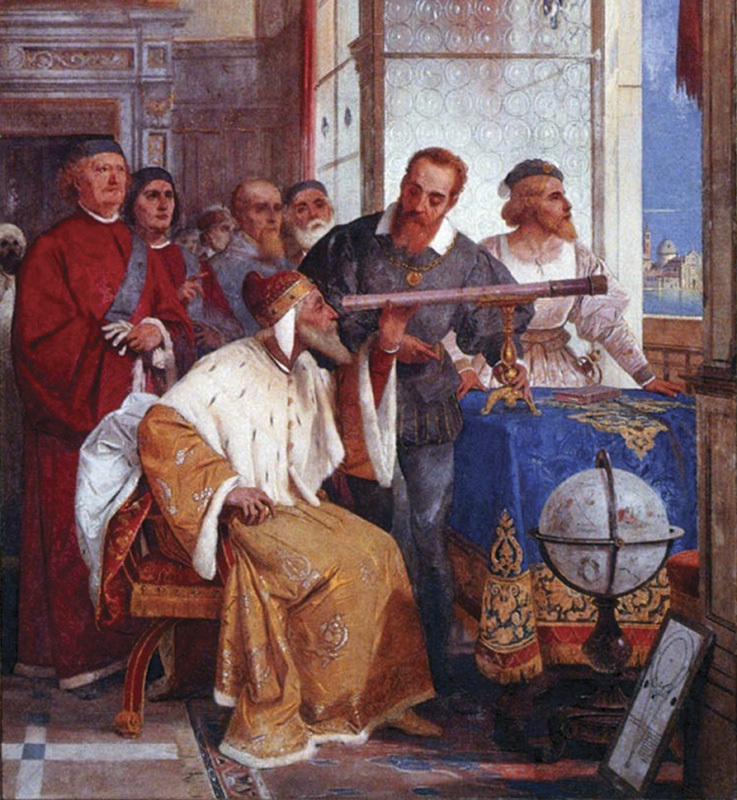 So for the sake of having some really good trivia to toss around at astronomy club next week, let’s highlight some of the big moments in the history of astronomy. For many centuries the science of astronomy was not distinct from the practice of astrology. For clarity, astronomy is the study of the stars, planets, and the universe with a clear scientific approach. Astrology is the study of the zodiac signs and how they influence our growth, our personalities and our daily lives. In modern times, we as people of science discount the astrological side and focus on the astronomy of the heavens. But they were one study for millennia before the age of science made them separate. There is historical evidence that astronomy was a recognized science as far back as the Babylonian civilization hundreds of years before Christ. But the study of the stars was not limited to one country. There were similar movements going on in China, India, and Ancient Egypt and all over the Arabian Peninsula. The integration of astronomy and religion is so prevalent that we see it in the Christmas story in which the Magi, Zoroastrian priesthood probably from the equivalent of ancient Syria, followed a star to the Christ child. These astronomers were also astrologers and it was that mixture that leads them to be part of this historic event. The first book on astronomy was written by Ptolemy during the Greek empire. Since that historic publication, the who’s who list of great astronomers charts a path right through the center of modern science including Copernicus, Galileo, Kepler, Sir Issac Newton, Jung, Michelangelo, Benjamin Franklin and more recently even Einstein and Stephen Hawkings would join that noble list. 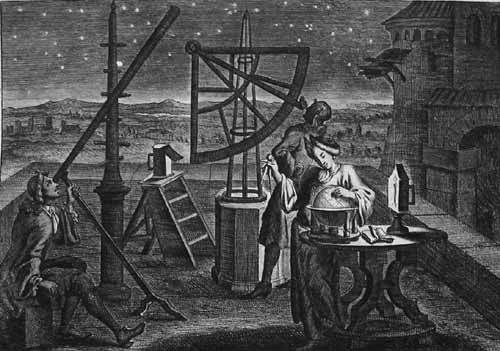 It seemed that from the Renaissance on to this day, virtually any man or woman of intellect dabbled in astronomy at least somewhat and it has always been considered a sign of the learned to know about the universe and things astronomical. * Influenza which comes from the Latin root word for influence. This reflects an early belief that the position of the moon and stars may influence health and cause or cure disease. * Disaster which comes from the Latin for “bad star”. * Lunatic which has the root word "Luna" in it which is the Latin word for moon. This highlights the long-held belief that is even prevalent today that irrational behavior and even wild and dangerous things happen during a full moon. So if you have found astronomy becoming a consuming passion in your thoughts and what fascinates you about the world we live in, you are in great company as this area of study has been a major part of the culture and thought virtually since the dawn of civilization. And it will continue to fascinate mankind for as long as those beautiful stars shine over our heads. The one thing we love the most in the world of astronomy is a good mystery. And if there was ever a mysterious and yet very powerful force of nature that we witness in the night skies, it is the coming of the mighty comet. The arrival of a comet within view of Earth is an event of international importance. Witness the huge media attention that the Haley or Hale-Bopp have had when they have come within view The sight of these amazing space objects is simultaneously frightening and awe-inspiring. Above all, it is during these comet viewings that the astronomer comes out in all of us. But what is a comet? Where did it come from? And how does it get that magnificent tail? 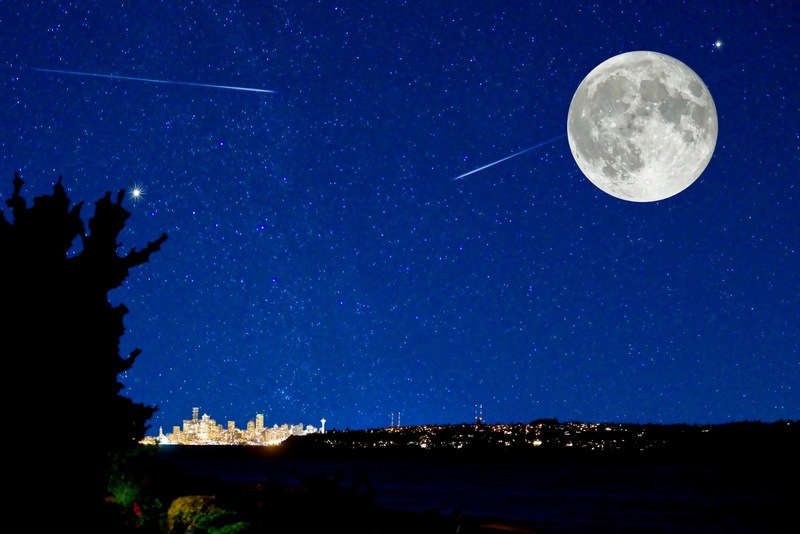 We should never confuse comets with asteroids. Asteroids are small space rocks that come from an asteroid belt between Mars and Jupiter. While still quite stunning to see, they pale in comparison to the arrival of a comet. Asteroids also have received considerable study by the scientific community. Not as much is known about comets. As a rule, comets are considerably larger than asteroids. The composition of a comet is a mixture of nebulous, gasses, ice, dust and space debris. One scientist called the composition of a comet as similar to a “dirty snowball” because the composition is so diverse and changeable. The center or nucleus of a comet is usually quiet solid but the “snowball” materials often create a “cloud” around that nucleus that can become quite large and that extends at great lengths behind the comet as it moves through space. That trailing plume is what makes up the comet’s magnificent tail that makes it so exciting to watch when a comet comes within view of Earth. 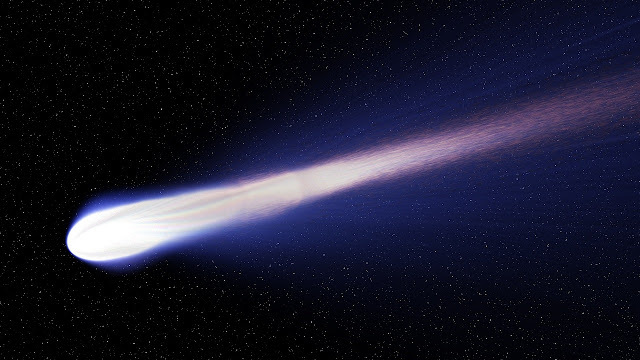 The origins of comets are similarly mysterious. There are a number of theories about where they come from but it is clear that they originate from outside our solar system, somewhere in deep space. Some have speculated they are fragments left over from the organization of planets that get loose from whatever gravitational pull and are sent flying across space to eventually get caught up in the gravity of our sun bringing them into our solar system. Another theory is that they come from a gaseous cloud called the Oort cloud which is cooling out there after the organization of the sun. As this space debris cools, it gets organized into one body which then gathers sufficient mass to be attracted into the gravity of our solar system turning into a fast moving comet plummeting toward our sun. However, because of the strong gravitational orbits of the many planets in our solar system, the comet does not always immediately collide with the sun and often takes on an orbit of its own. The life expectancy of comets varies widely. Scientists refer to a comet that is expected to burn out or impact the sun within two hundred years as a short period comet whereas a long period comet has a life expectancy of over two hundred years. That may seem long to us as earth dwellers but in terms of stars and planets, this is a very short life as a space object indeed. Scientists across the globe have put together some pretty impressive probes to learn more about comets to aid our understanding of these visitors from beyond. In 1985, for example, the United States put a probe into the path of the comet Giacobini-Zinner which passed through the comet's tail gathering tremendous scientific knowledge about comets. Then in 1986, an international collation of scientists was able to launch a probe that was able to fly close to Haley’s comet as it passed near Earth and continue the research. While science fiction writers and tabloid newspapers like to alarm us with the possibility of a comet impacting the earth, scientists who understand the orbits of comets and what changes their paths tell us this is unlikely. That is good because some comets reach sizes that are as big as a planet so that impact would be devastating. For now, we can enjoy the fun of seeing comets make their rare visits to our night sky and marvel at the spectacular shows that these visitors from beyond put on when they are visible in the cosmos.